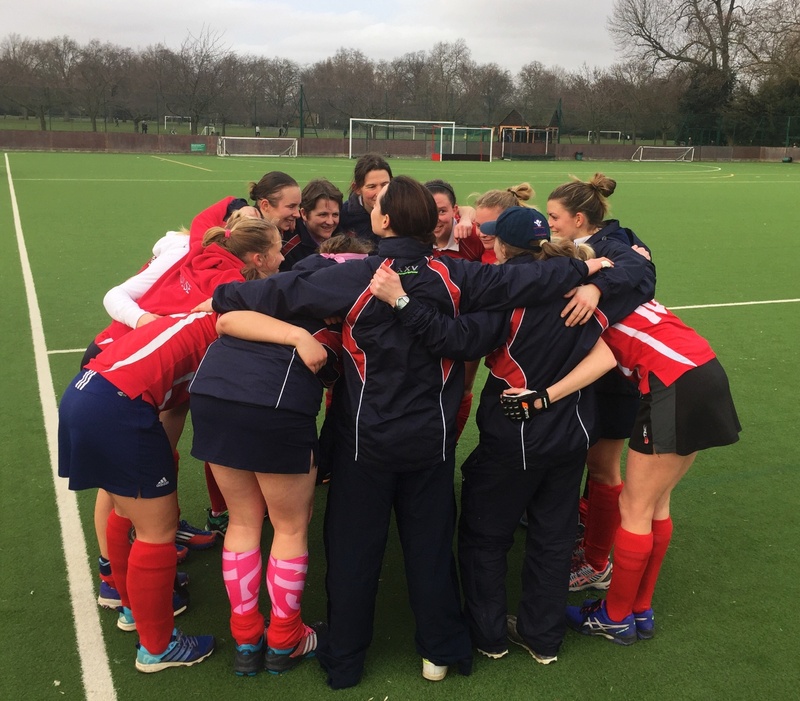 Basingstoke ladies 1s, sponsored by KJS Solicitors, were put under pressure by a very competitive London Wayfarers side from the start. Against the run of play Basingstoke showed their lightning pace, executing a fast break attack which culminated in a Fiona Parker reverse stick goal. Wayfarers drew level through a spectacular diving deflection. Both teams created good opportunities to take the lead. In the Basingstoke defence Alice Lane stopped a penalty corner shot on the line. Goal Keeper Gemma Carswell saved a further penalty corner, however, it was re-awarded and at the second attempt Wayfarers eventually scored a straight strike penalty corner to go into half time 2-1 up. In the second half, Basingstoke stepped up their performance demonstrating their positive attitude and hunger for goal. Basingstoke appeared to have equalised through a wonderful penalty corner strike from Clare Griffiths, only to be dubiously disallowed for being too high. Basingstoke were disappointed, but showed their professionalism by getting on with the game and continuing to strive for another goal. Before long they were rewarded, with Claire Bowman beating the keeper from close range. The partisan home crowd got behind their team, making it difficult for the umpires which culminated in stoppages, cards and confusion. Captain, and man of the match Catriona Bausor led by example in her endeavours to get a winning goal. Basingstoke never gave up and kept their heads on a difficult day; therefore appreciate a hard won point rather than rueing 2 lost. Next week Basingstoke welcome Witney to Down Grange.